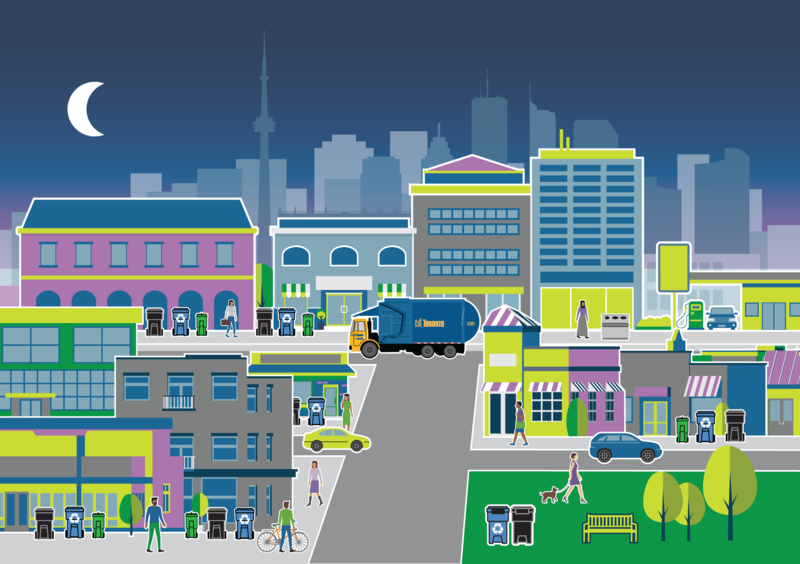 Garbage and Recycling Calendars are a primary education tool for the City of Toronto to inform citizens about proper waste sorting and disposal. The calendar contains a lot of information in both the feature and supplementary pages. The challenge of the assignment was to develop an effective and easy to understand series of waste calendars for households across the city. Calendars are designed to hang and all content to be supplied by the City of Toronto. TWG’s creative team developed a highly effective visual series of calendars conveying a massive amount of content in a manner that is accessible, easy to understand and ensures Torontonians never miss a garbage or recycling day again! Over 1.2 million calendars were produced for distribution to every household within Toronto. The City of Toronto’s collection calendar is an important reference guide for recycling do's and don'ts, collection schedules, correct set-out tips and proper disposal of household hazardous waste. Owing to Toronto’s diverse population the calendars needed to be multilingual, informative and very visual. The content had to be communicated in a manner that allowed for the widest demographic possible to understand it. Content needed to be colourful and vibrant, non threatening and non institutional. The final product had to be something residents would want to display in their home.